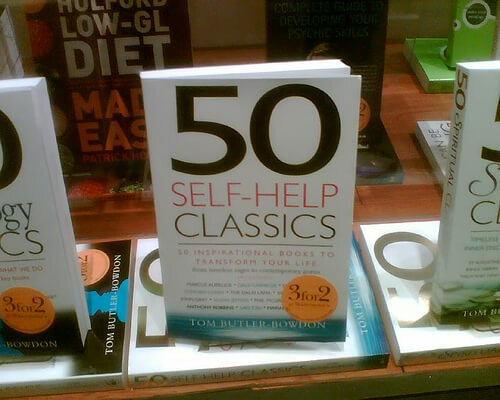 Self-help books cover topics ranging from business, to relationships, to creativity and peace. It’s a lot to cover in one ranking, but below we’ve ranked 2014’s top self-help books as ranked by Amazon users. If you’re looking to change your life, conquer bad habits, start a business, or continue an inner journey, there’s something for you on this list. Enjoy! 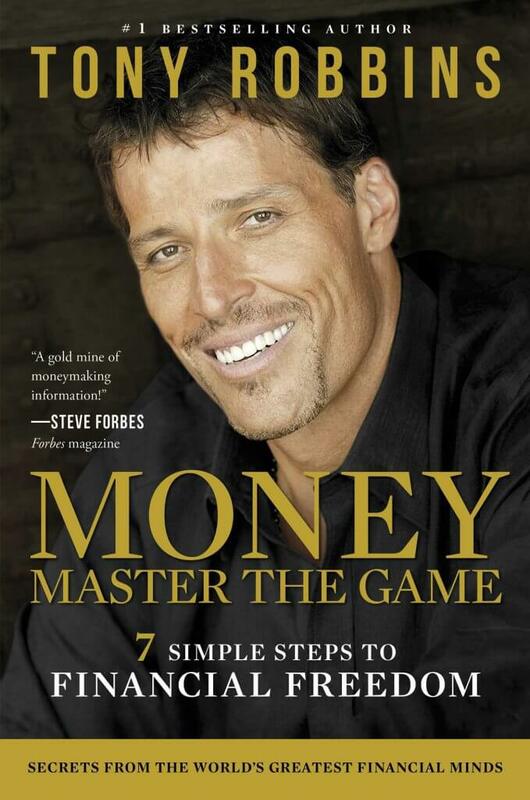 The #1 ranked motivational and personal finance book on Amazon is by Tony Robbins, a renowned life and business coach, founder of over 20 companies, and well-known philanthropist. Tony has a knack for distilling complex financial problems into simple, practical lessons, and presents a number of lessons to readers through one-on-one interviews with over 50 financial experts covering–in broad strokes–the basics of investing and securing financial independence. This book isn’t a traditional investing guide, but rather the basis for an investing philosophy through which readers can preserve their financial future. This book is written by Atul Gawande, an award winning novelist, professor at Harvard Medical School and School of Public Health, a surgeon, and one of the World’s 100 most influential thinkers as listed by Foreign Policy and Time. 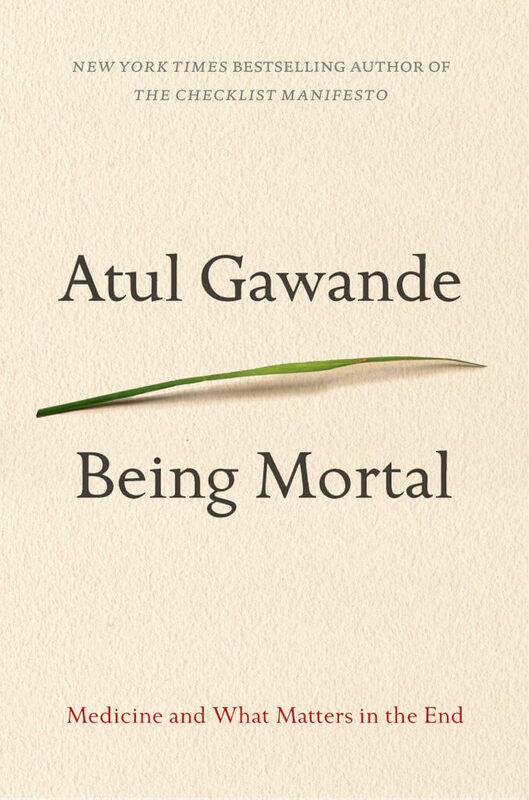 Being Mortal addresses a limitation of Dr. Gawande’s profession, that oftentimes the clinically correct choices for ageing patients run contrary to retaining dignity of life. For many Americans who are caring for an older generation, or are the older generation, this is a pressing concern: how to retain quality of life for independent and independent minded senior citizens as they age. 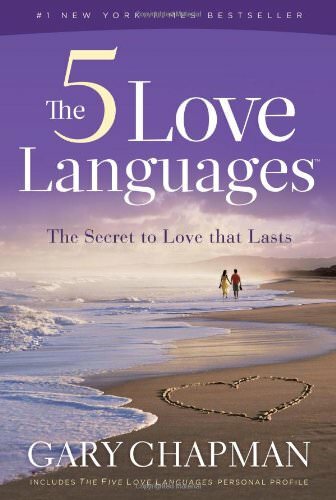 The 5 Love Languages is written by Dr. Gary Chapman, a long time married man, pastor and marriage counselor. At four years old, this book is still ranked #1 in psychology and counseling, relationships, and religious studies books on Amazon. The book looks at five “love languages” that you or your spouse might speak: quality time, words of affirmation, gifts, acts of service, or physical touch. The book focuses on concrete steps for identifying your partner’s love language and engaging them in meaningful dialogue so as to strengthen your relationship. Quiet is ranked #4 in both self-help books as well as health, fitness, and dieting books on Amazon. The book is written by Susan Cain, a one-time corporate lawyer, turned negotiation trainer, turned writer. 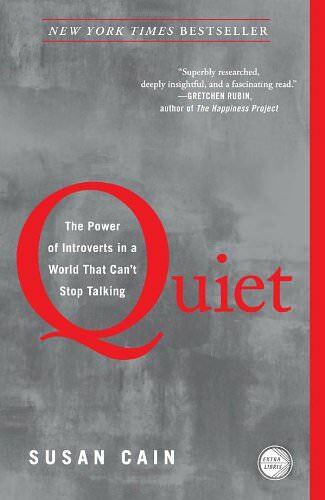 Quiet explores the world of introverts (a full third of all people) detailing many praiseworthy characteristics that come along with introversion, as well as what the world would miss without introverts. A history of the rise of the extroverted ideal as well as great stories about introverted success change how readers will view the introvert in themselves, as well as other introverts, forever. 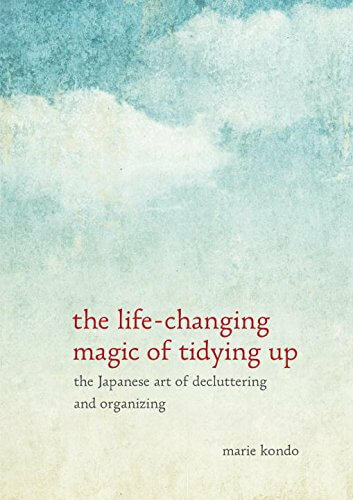 The Life-Changing Magic of Tidying Up is the #1 selling Zen Philosophy book on Amazon, and is written by Japanese cleaning consultant Marie Kondo. Marie Kondo’s cleaning consultancy business has become a worldwide sensation over the past few years and currently boasts a several month waiting list for clients wanting to de-clutter their homes. Her KonMari method–which emphasizes a category by category exploration of your home and stuff–isn’t only available through her business, with this latest release. The Four Agreements is ranked #1 in Amazon categories for consciousness & thought, spirituality, and personal transformation. Though the book has been out since 1997, the book recently obtained a major publicity boost when featured on Oprah. 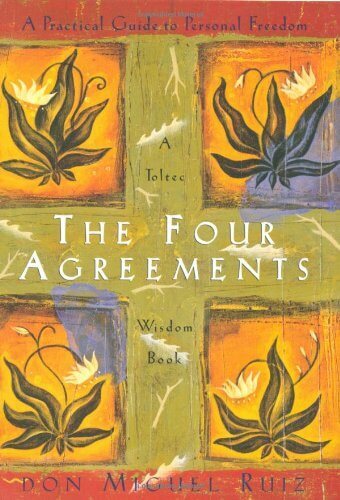 The author, Don Miguel Ruiz, was born into a family of traditional Mexican healers, and offers traditional Toltec advice he would normally grant during his workshops. The book centers on a personal code of conduct that leads to a freeing yet meaningful life, as passed down by the author’s Toltec ancestors. 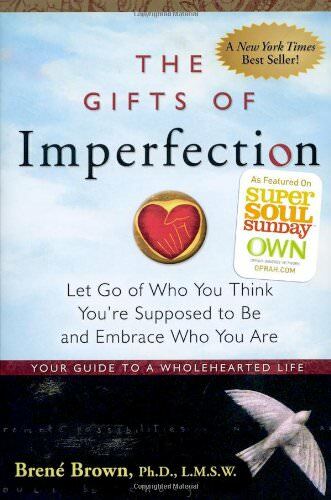 The Gifts of Imperfection is currently ranked #1 for both self-esteem and creativity on Amazon, and #4 for personal transformation. Dr. Brene Brown wrote the book, and is currently a human-behavior researcher at the University of Houston’s Graduate College of Social Work. Her 2010 TedXHouston talk about the power of vulnerability pairs well with her research in the book, and is one of the top ten most watched Ted talks on Ted.com. 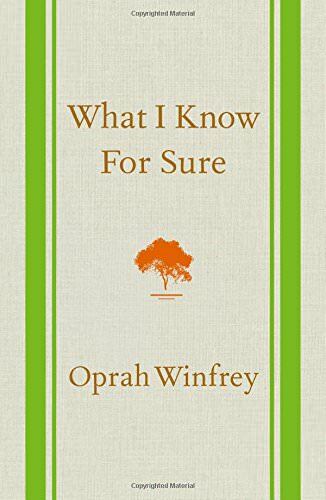 Her book centers around living a fulfilling life with the help of ten guideposts that readers should use for introspection. The end goal of this introspection is to build a life full of courage, compassion, deliberate boundaries, and connections, all while leaving behind distracting insecurities. At 25 years old, this book is still ranked #1 in skills, leadership, and processes and infrastructure by Amazon. The book is one of seven bestselling books by Steven R. Covey, leadership authority, family expert, teacher, and organizational consultant. Anecdotes are just as often applied to corporate boardrooms as familial settings, and the book is well done and intricate enough as to demand a thorough study (notes, questions, reading in a group, and so on). 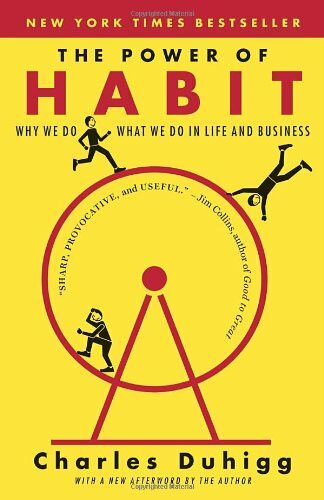 Effective habits as shown in both personal and professional realms are both necessary for a balanced and successful life, and include a paradigm shift that Covey helps to take the readers through regarding productivity, time management, positive thinking, and being proactive. 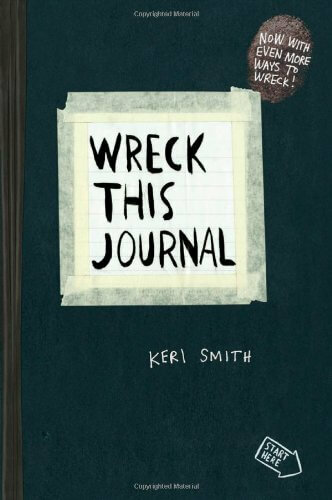 Wreck This Journal seeks to engage readers in creating (or, destroying) their journal with a series of subversive yet creative and cathartic prompts. Keri Smith, the author of the book is an acclaimed author and illustrator. In this particular book the reader/collaborator is pushed to expand their interactions with the blank page creatively, as well as increase users’ ease of self expression. Currently the book is ranked #2 in the creativity category of Amazon. The Power of Now is written by Eckhart Tolle, spiritual teacher and author of two of the most important spiritual books of our time. 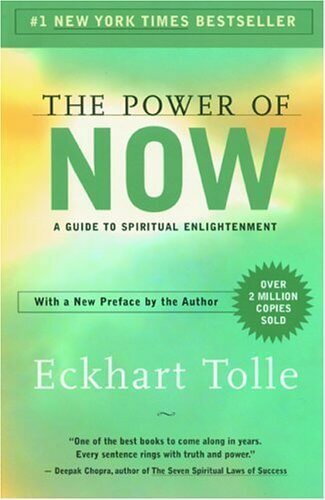 Currently ranked as #1 for both new age and meditation books, as well as #3 for spiritual self-help books on Amazon, the Power of Now has sold over 2 million copies and been translated into 30 languages worldwide. 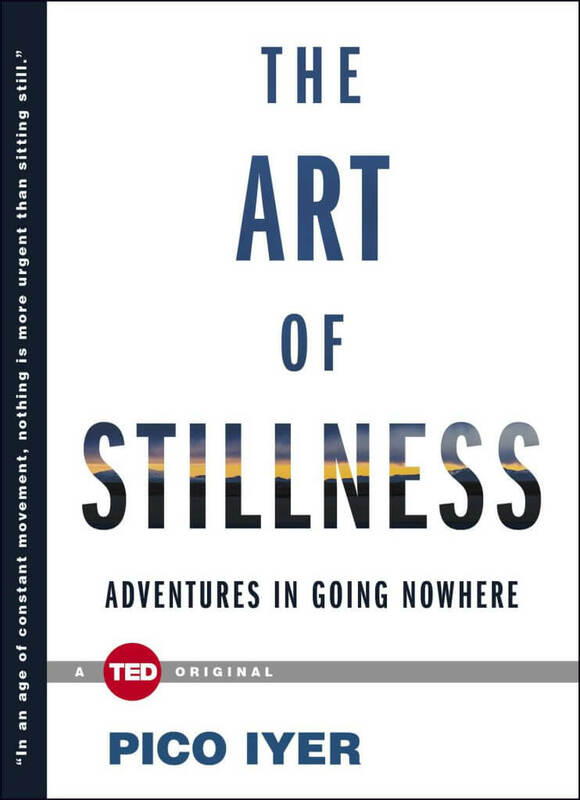 The book covers a wide variety of topics on mindfulness, such as the source of Chi, impermanence, creative use of the mind, and the cycle of life. Mindset is currently ranked #1 in the investing and applied psychology sections of Amazon, and #3 for personal transformation. 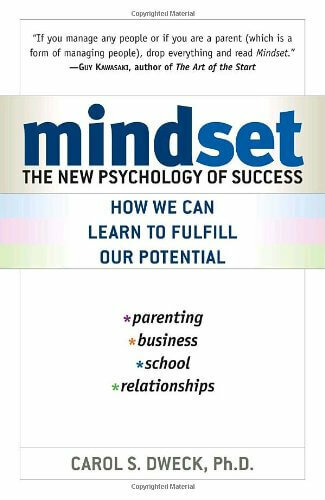 Written by renowned Stanford psychologist Carol Dweck, the book focuses on how your mindset is one of the biggest predictors of success. Dweck also details the potential shortcomings of just talent or intelligence, and how depending on one’s mindset the two previous “advantages” can actually damage one’s chances of success or self confidence. 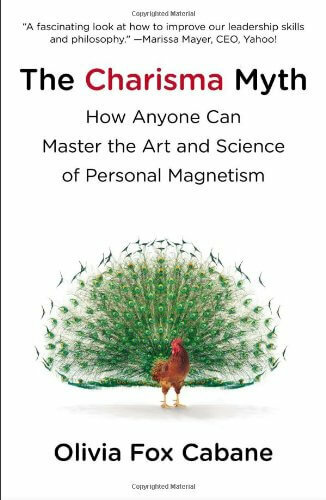 The Charisma Myth debunks the myth that charisma can’t be learned. Expounding on Olivia Fox Cabane techniques developed for lectures at Harvard, MIT, and as an executive coach for a number of Fortune 500 companies. Solidly grounded in behavioral science, Cabane shows why you don’t have to transform your personality to be charismatic, but can rather incorporate a series of specific practices that will help you to act in charismatic ways. 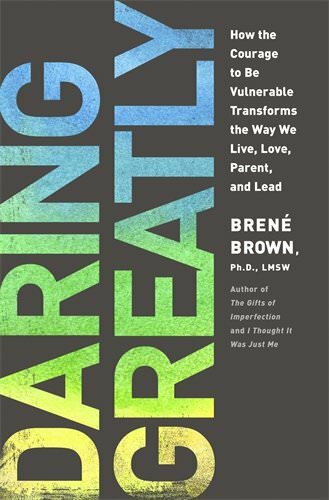 Daring Greatly is the second self-help book on our list by Dr. Brene Brown, and is currently ranked #2 in self-esteem, #5 in personal transformation, and #13 in business and money books on Amazon. The book hinges around the notion that when we encounter uncertainty, risks and emotional exposure, that one of the most powerful things we can do is jump in and open up, making ourselves vulnerable. Whether in an important meeting, creating something, or with your family, becoming vulnerable allows for meaningful connections, courage, and true engagement. 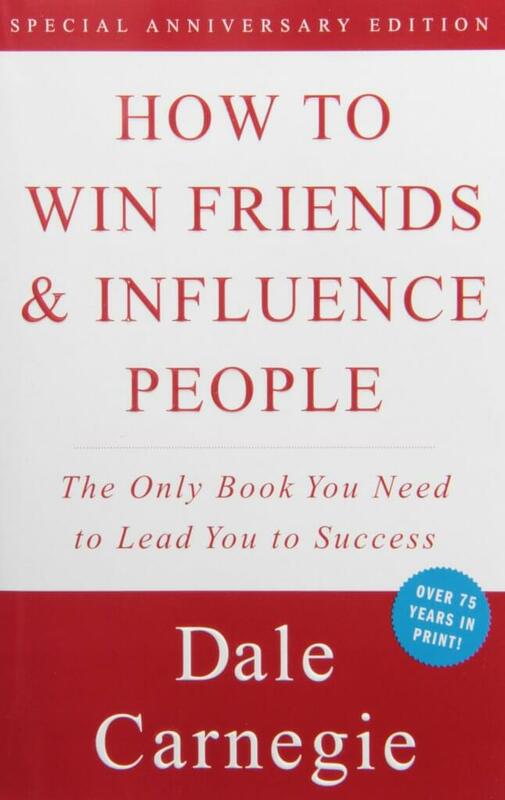 Published in 1936, How to Win Friends and Influence People is still the #115 ranked overall best seller on Amazon. Written by Dale Carnagie, the book was part of his many famous lessons on self-improvement, salesmanship, public speaking, relationships, and corporate strategy. The book centers around three ways to handle others, six ways to make yourself likable, twelve ways to make people agree with you, and nine ways to peacefully change people’s mind. While not for everyone, Co-creating at its Best is currently ranked the #1 book on channeling and the occult, and the #24 ranked self-help book on Amazon. 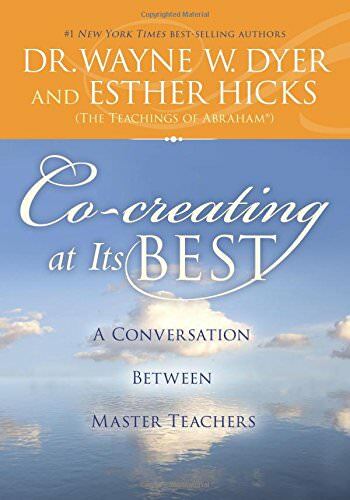 Written in conjunction by Dr. Wayne W. Dyer, Esther Hicks, and a “wise collective consciousness” named Abraham, this book details a live event in which questions about parenting, the continuum of life, dharma, destiny, and being on your path are addressed. If you’re into mindfulness, channeling, the occult, and guides with years of experience, this could be the self help book for you. 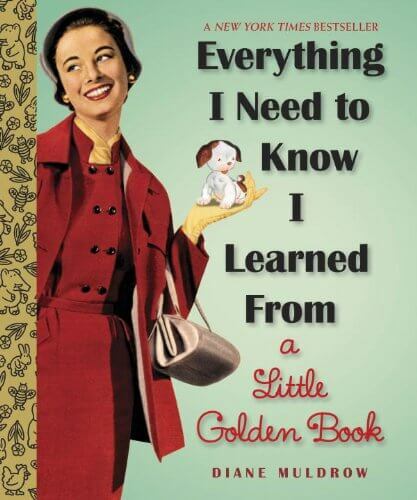 Everything I Need to Know I Learned From a Little Golden Book is the #1 humor and self help book on Amazon, the #8 ranked personal transformation, and the #24 self-help book on Amazon. Written by longtime editor of the children series Little Golden Books Diane Muldrow, the book was brought about by the observation that nearly every variety of real-life situation had been covered by the iconic children’s label. Small bits of humor and advice on top of classic illustrations makes this book an enjoyable and potentially useful self-help compendium. 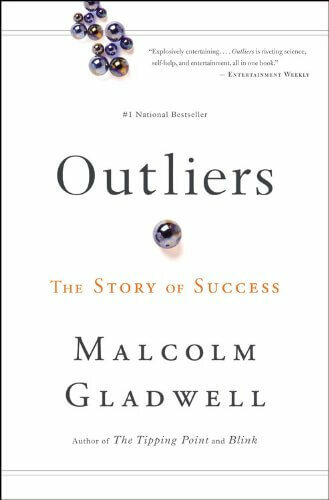 Outliers is by bestselling author Malcolm Gladwell,and is currently ranked #1 in social psychology and interactions, cultural and statistical book categories on Amazon. As well as the #305 most popular book on the whole site. The book centers around the question of what makes high-achievers different, be they rock stars, board members, or people who are good at math. Gladwell focuses not on what these “self made men” are like, but rather where they came from, and what enabled them to reach their potential in such extraordinary ways, while others do not. 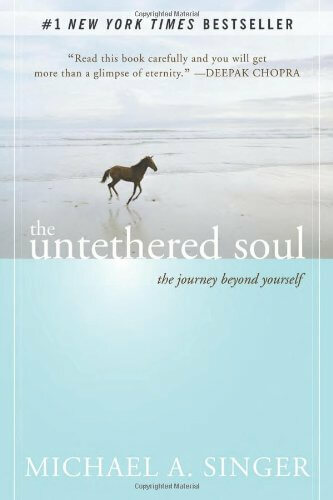 The Untethered Soul is currently ranked #1 in emotions and cognitive psychology, and #2 in meditation on Amazon. The book is written by Michael Singer, New York Times bestseller who while doing doctoral work for economics had a deep spiritual awakening, went into seclusion, and decided to focus on yoga and meditation. Singer has since founded the Temple of the Universe, a yoga and meditation center allowing those of any religious preference to engage in mindfulness. The book centers on helping readers get started (or continue) on journeys of inner exploration, complete with exercises and examples on how to ascertain your relationship to your thoughts and emotions, and uncover the source of fluctuations of your inner landscapes. This “parenting Bible” is ranked #1 in conflict resolution, conflict management, and #2 in each childhood parenting on Amazon. 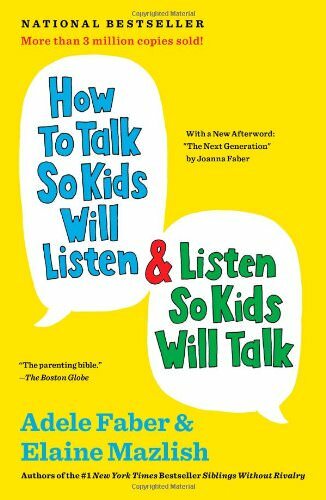 Written by communication experts Adele Faber and Elaine Mazlish, the book explores new and time-tested ways to develop good communication channels between you and your children. Topics include understanding the difference between good and bad praise of your child, coping with negative feelings in children, expressing strong feelings without being hurtful, setting firm limits, and getting your child to cooperate with you. 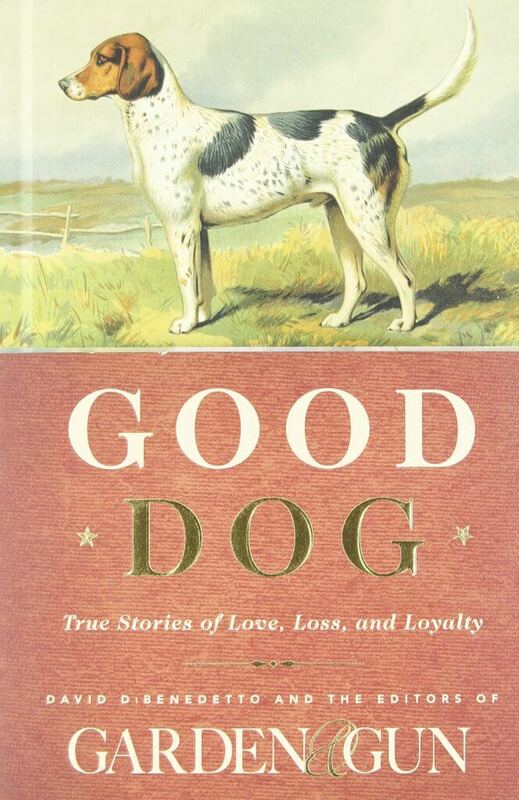 Good Dog is currently ranked #1 in pet & animal care essays, #1 in pet loss, and #2 in essays on Amazon. Co-authored by the editors at Garden and Gun and David DiBenedetto, the book was inspired by Garden and Gun’s “Good Dog” column, and features some of the top writers of today–John Meacham, Roy Blount Jr., Dominique Browning, and P.J. O’Rourke– writing some 51 dog story vignettes. From good, to bad, to priceless aspects of owning or knowing a dog, the collection centers on what it means to be a true companion and what really matters in life. The Motivation Manifesto is currently ranked #8 for personal transformation, #9 for motivational, and #21 for business and money books on Amazon. 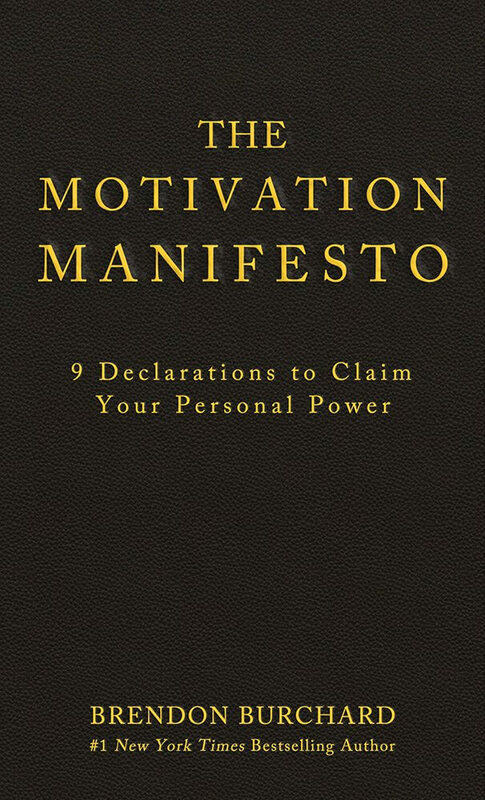 Written by high performance trainer Brendon Burchard, the book centers around 9 declarations that can help you morph into a free, powerful, and fulfilled individual. The freedoms Burchard focusees on are time freedom, emotional freedom, social freedom, financial freedom, and spiritual freedom. For each, there are only two obstacles, an external combatant, and an internal enemy. Check out this stirring book which recalls the spirit of past revolutionaries and those seeking independence. 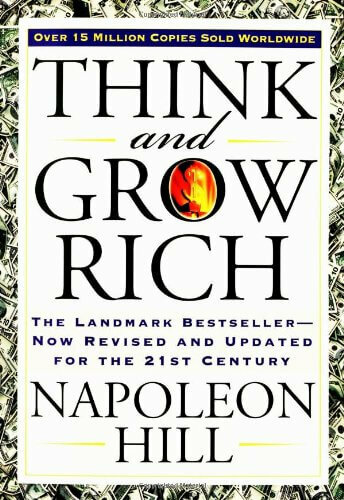 Think and Grow Rich was originally published in 1937, and was one of the first books to ask the question of “what makes people successful? How can you be successful too?” Written by Napoleon Hill (born 1883) the book still ranks #19 in business and money and #28 in self-help books on Amazon. The book centers around his assignment from Andrew Carnagie (steel baron) who asks him to organize a philosophy of personal achievement. After interviewing over 500 of the most successful people of his time, Hill centers in on a number of concepts that are central to taking hold of your personal and business life. Getting Things Done is currently the #1 ranked book for time management, the #3 book for self-esteem, and the #6 book for mental health on Amazon. 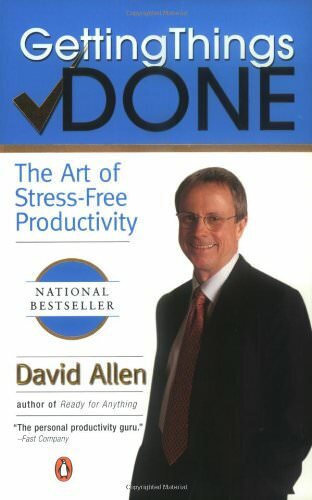 David Allen is one of the world’s leading experts on personal and organizational productivity, and was voted one of the top five executive coaches in the US by Forbes. The book offers a comprehensive system through which to capture all of your unrelated “to-do’s” and categorize them into action lists. There are a lot of technical terms in the book, but a one-page flowchart comes with the text, and can be hung over your desk as a super useful prioritization rubric. This book is ranked #1 for negotiating, communication, and running meetings & presentations on Amazon. The book is written by the four co founders of VitalSmarts, a corporate training and organizational performance corporation: Kerry Patterson, Joseph Grenny, Ron McMillan, and Al Switzler. The aims of the book are to prepare you for high-stakes situations, inform you as to how to transform negative feelings into powerful dialogue, make almost anything sage to talk about, and enhance your ability to be persuasive. Currently a second edition is for sale, with added features from the original. You’ve probably seen the enigmatic cover to The Secret, currently ranked #1 in new age mental & spiritual healing, #2 in new age thought, and #3 in occult books on Amazon. 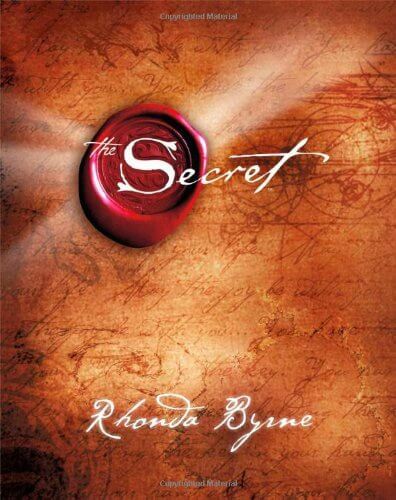 The book centers on the law of attraction, and author Rhonda Byrne asserts that positive thoughts have the power to attract wealth, prosperity, a happy family, and health. The flip side is that even fleeting negative thoughts can do the opposite. With its movie and audio book versions, Byrne draws together a diverse group of thinkers and creators who use her “secret” to great success. While the thesis is controversial, the book is one of the better user-reviewed self-help titles on Amazon. Boundaries is currently the #1 counseling, self help, and dating & relationships book (in Christian categories) on Amazon. Dr. Henry Cloud and Dr. John Townsend are co-authors on the book, combining years of speaking and clinical psychology experience. 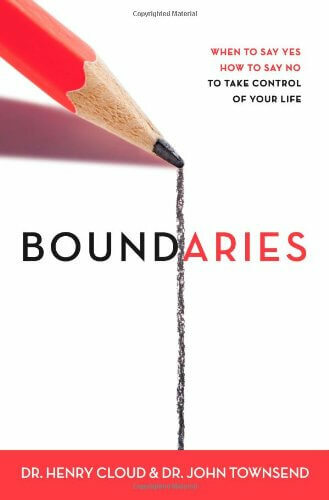 A central focus of the book is the fact that Christians often respond in one of two ways when setting boundaries: either they draw overly accepting and flexible boundaries, being unable to say no, or they draw overly rigid boundaries (overly judging others, and not being accepting). The book attempts to provide a framework through which Christians can balance these responses. 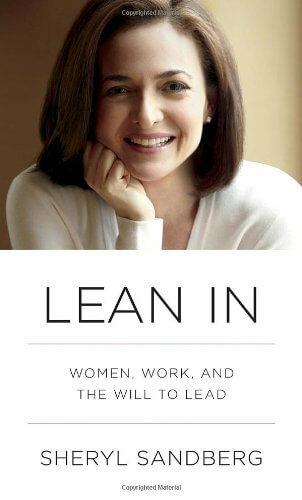 Lean In is currently ranked #1 in business, women & business, and #4 in biography & history books on Amazon. The book is written by Sheryl Sandberg, the Chief Operating Officer of Facebook, and one of Fortune’s list of the 50 Most Powerful Women in Business, Sandberg builds off of her 2010 TEDTalk in which she described how internal blocks can often inhibit female success in the workplace just as much as other factors like workplace culture. Loaded with personal tales, social psychology, and hard data, Sandberg encourages women to “sit at the table” and join discussions, seek challenges, risk, and pursue their goals with fervor. 30. Awaken the Giant Within: How to Take Immediate Control of Your Mental, Emotional, Physical and Financial Destiny! Awaken the Giant Within is currently ranked #6 in motivational, motivation & self-improvement, and #8 in entrepreneurship on Amazon. 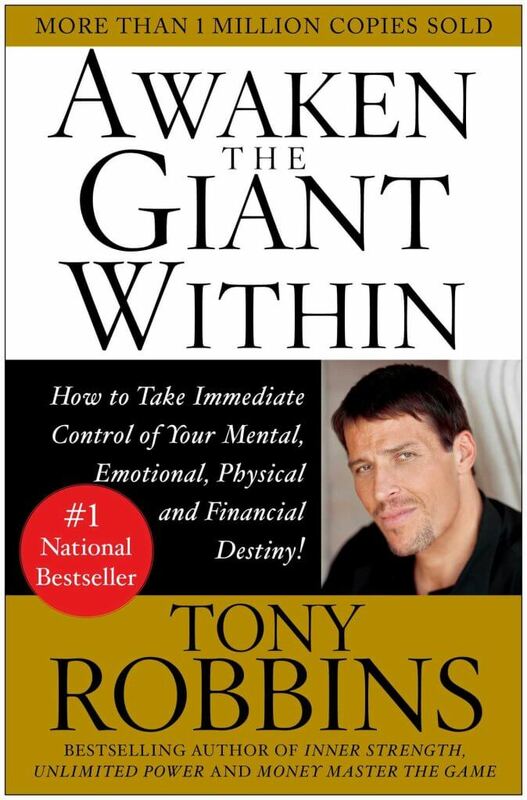 Tony Robbins is the book’s author, and one of the nation’s leaders in the science of peak performance. Robbins is also the owner of more than 20 companies (12 of which he actively manages) as well as the author of a second book on our list. Grounded in psychology of change, Robbins walks readers step-by-step through lessons on self-mastery regarding your emotions, body, relationships, finances, and life at large. 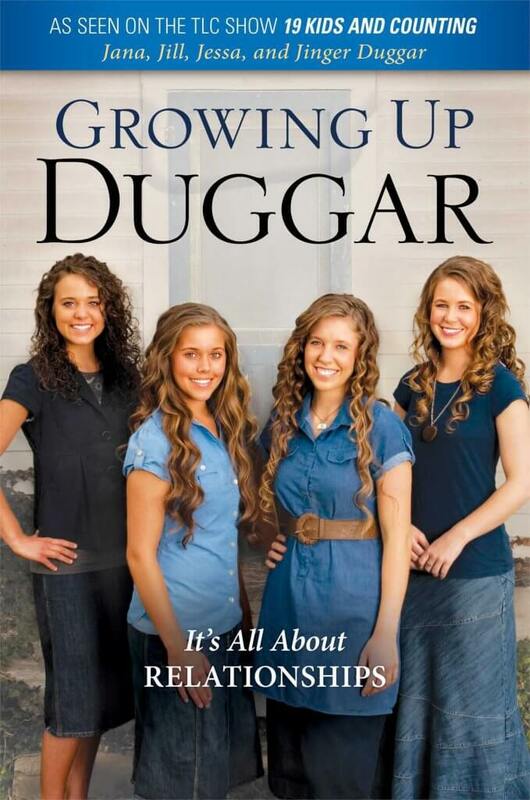 Growing Up Duggar is currently the #1 book in the home schooling, emotions, and family categories on Amazon, and was written by four of the Duggars: Jana, Jill, Jessa, and Jinger. All of whom are off of TLC’s show 19 Kids and Counting. Their book centers on relationships, including relationships with yourself, relationships with parents, relationships with siblings, relationships with friends, relationships with boys, and relationships with God. 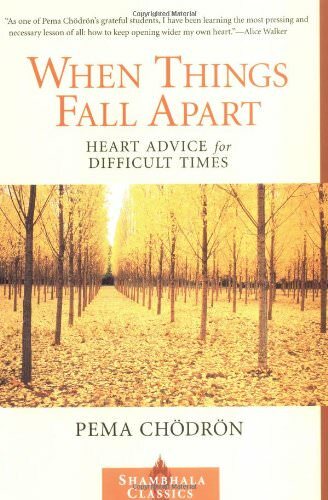 When Things Fall Apart is currently ranked #1 in Tibetan, #4 in meditation, and #8 in New Age books on Amazon. Written by Pema Chˆdrˆn, an American Buddhist nun who teaches at the first Tibetan monastery in North America established by Westerners, Chˆdrˆn presents a collection of talks she gave between 1987 and 1994. The topics of the talks include cultivating wisdom, compassion, and courage, reversing habitual patterns, working in chaos, and enacting effective social change. Her talks are hits for both Buddhist and non-Buddhist readers alike. 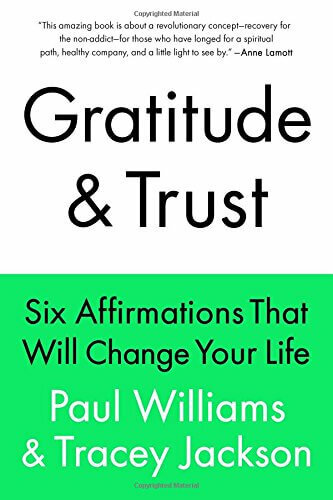 Gratitude and Trust is currently ranked #1 in twelve-step programs, #28 in personal transformation, and #73 in self-help books on Amazon. The book is written by Paul Williams (an alcoholic) and Tracey Jackson (who isn’t), and attempts to apply the principles of the addiction recovery movement to people who aren’t addicts. Like addiction recovery, whatever you’re trying to fix starts by embracing the fact that you are what’s standing in your own way to change. Through inspiration and clear guideposts, the book is a great resource for identifying and changing maladaptive behaviors, and making the most healthy you yet. 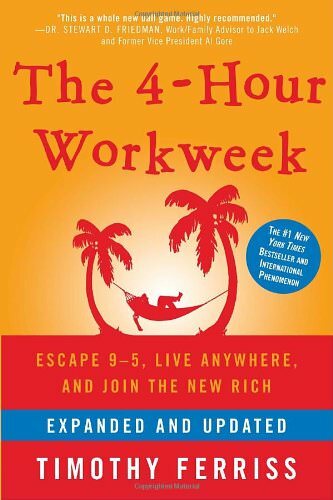 The 4-Hour Workweek is currently ranked #1 in job hunting and career guides, #1 in motivation & self improvement, and #3 in motivational books on Amazon. The author is Timothy Ferriss, angel investor and adviser known for his rapid-learning techniques. The book centers around a number of life hacks such as outsourcing tasks to virtual assistants overseas, working in bursts and taking “mini-retirements” and how to manufacture a new low-work lifestyle for yourself in uncertain economic times. The Art of War is currently the #1 ranked book in military, strategy, and crime & criminals on Amazon. 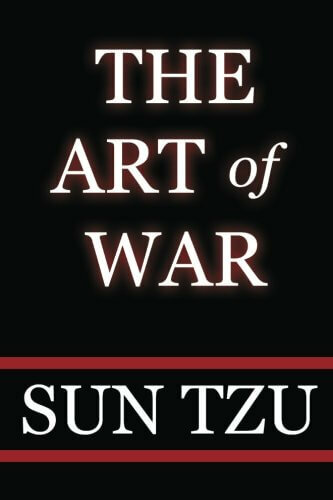 Written over 2500 years ago by Sun Tzu, the book still fascinates with its ancient military strategy and how its proverbs can be adapted to politics, business, and everyday life. Basic tenets of the text include winning through non-aggression, knowing yourself, knowing your enemy, and only fighting when you can win. 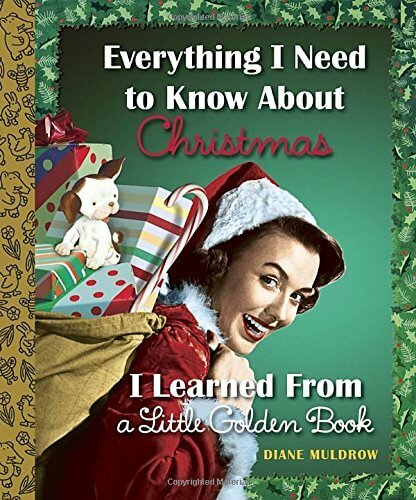 This book, similar to Everything I Need to Know I learned From a Little Gold Book (above) is currently ranked #2 in Christmas books #3 in general humor, and #3 in self-help & psychology humor books on Amazon. The classic illustrations and witty wisdom inspired by the long loved line of children’s books is written by Diane Muldrow, longtime editorial director of Golden Books. For the currently young or once upon a time Golden Book readers, the books are a wholesome treat filled with beautiful evocations of old-timey American life and thought. 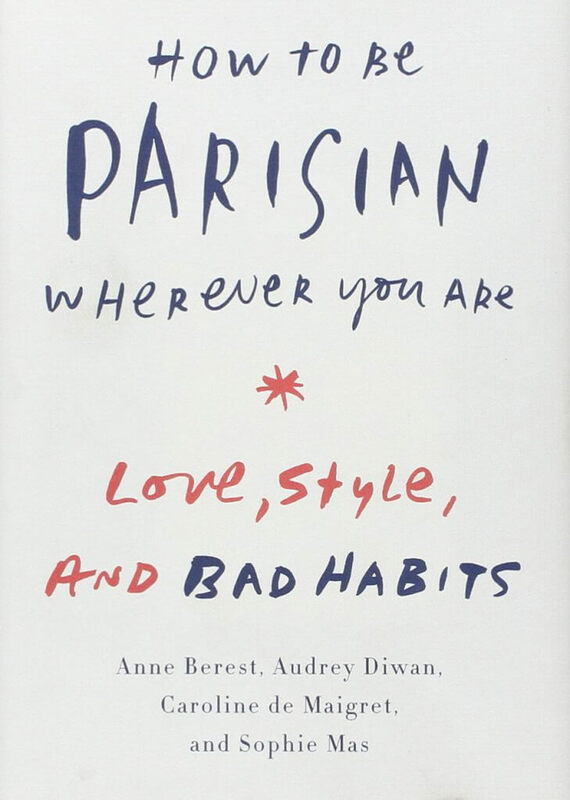 How to Be Parisian Wherever You Are is currently ranked #4 in happiness and #18 in motivational books on Amazon, and is written by four talented Parisian women with careers in music, film, fashion, and publishing: Anne Berest, Audrey Diwan, Caroline de Maigret, and Sophie Mas. They tackle what it means to be from one of the world’s most romantic locales, and what that means for dress, entertainment, fun, and life advice. The book even features a list of places you should visit in Paris for a variety of unique occasions. 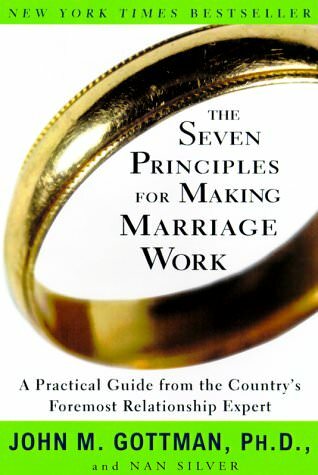 The Seven Principles for Making Marriage Work is currently ranked #5 in interpersonal relations, and #53 in health, fitness & dieting on Amazon. John Gottman, author of the text is the director of the Gottman Institute, a research institute that over time found itself able to predict, with 91% accuracy, what couples would become divorced after a 5 minute interview. This book, built off insights from the Gottman Institute, looks at a number of myths about divorce, outlines how “emotionally intelligent” marriages don’t have to be all about communication, and provides a series of quizzes, checklists, and exercises to profile you, your partner, and your relationship. The 48 Laws of Power is currently ranked #1 in history & theory, social philosophy, and ethics & morality on Amazon. 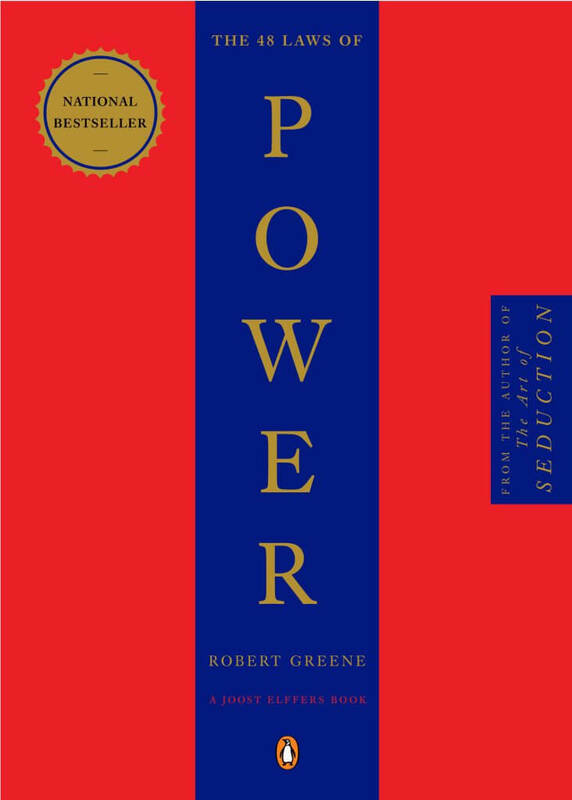 Written in 2000, Robert Greene is the author, a noted classical studies scholar who has written a variety of topics. This book distills 48 classic sources down to “rules of power” that function as guideposts to successful life and business. Hailed as a new Machiavellian tome, and with many comments noting the ruthless careerist type that the book caters to, the book might not be for everyone, but is definitely for those looking to succeed at all costs. 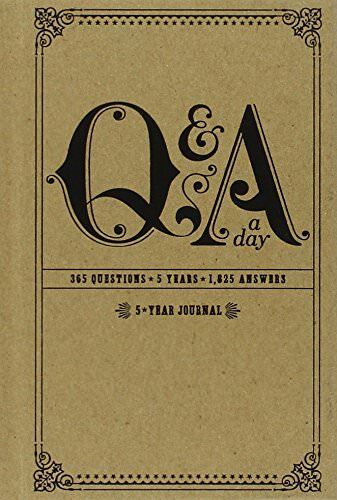 The Q&A a Day journal is currently the #91 ranked self-help book on Amazon. The guided journal is unique in that it doesn’t only focus on pulling out interesting confessions, but also tries to help you spot how you’re changing over time. Once you make it through a year’s worth of questions in the book, you simply start again, and answer the same questions one year later, allowing for you to locate changes in where you are, what you value, and where you’re heading. Act Like a Success, Think Like a Success is currently ranked #4 for self-esteem, #15 for personal transformation, and #18 for success books on Amazon. 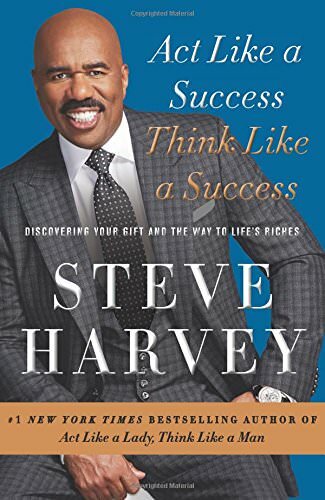 Written by Steve Harvey, his text centers around identifying what your main gift, or way in which you can contribute is, and provide principles on how to apply your gift, at home, at work, in relationships, or for personal development. 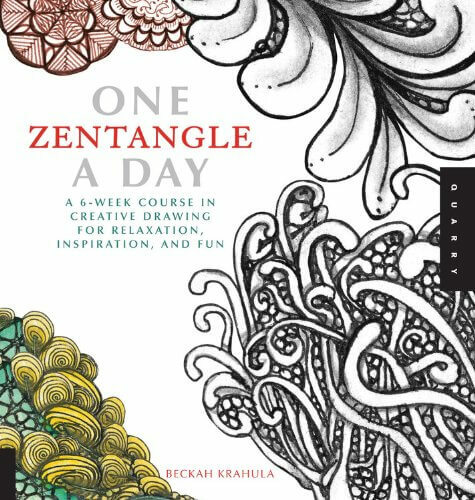 One Zentangle A Day is currently ranked #1 in stress management, #1 in mixed media, and #3 in drawing books on Amazon. Beckah Krahula is the work’s author, and also works as an artist, consultant, product designer, and design expert. Guided exercises introduce the art of Zentangles, a new trend in drawing and paper arts to readers. Zentangles are a way to focus meditation through drawing, using repetitive lines and marks. 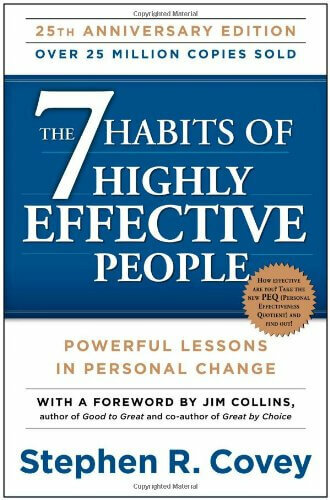 This book has 7 daily exercises divided into six chapters. They guide you through the eleven-step Zentangle process: relaxing, breathing, admiring the paper and tools, appreciating this opportunity, draw the border, draw the string, draw the tangles with pen, shade the tangles with pencil, initial the front, sign, date, and comment on the back, reflect and appreciate, and admire your work up close and at arm’s length. 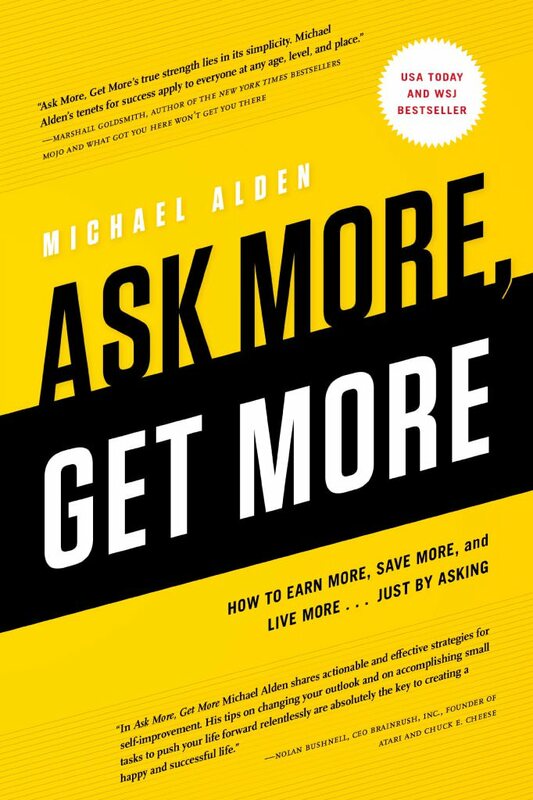 Ask More, Get More is a Wall Street Journal and USA Today bestseller written by Michael Alden, a marketing company CEO who at one point overcame drugs, crime, and poverty to make himself financially independent. From reviews on the text, “Ask More Get More’s true strength lies in its simplicity. Michael Alden’s tenants for success apply to everyone at any age, level and place.” Coupling Alden’s personal tale with a series of applicable principles about asking more to “get more” out of life, the book has one of the highest user ratings of self-help books on Amazon. Influence is currently ranked #2 in consumer behavior, #10 in motivational, and #11 in self-help success books on Amazon. 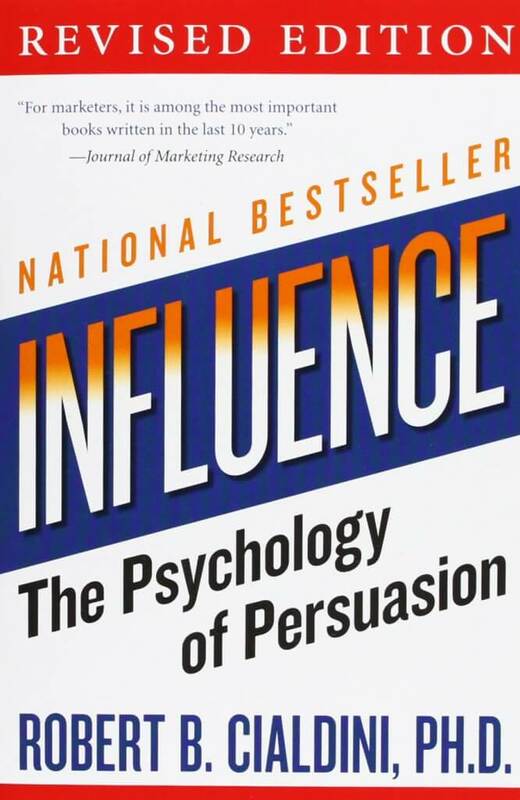 Robert Cialdini, Ph.D is the author of the book, who draws from over 30 years of research in the fields of persuasion, compliance, and negotiation. 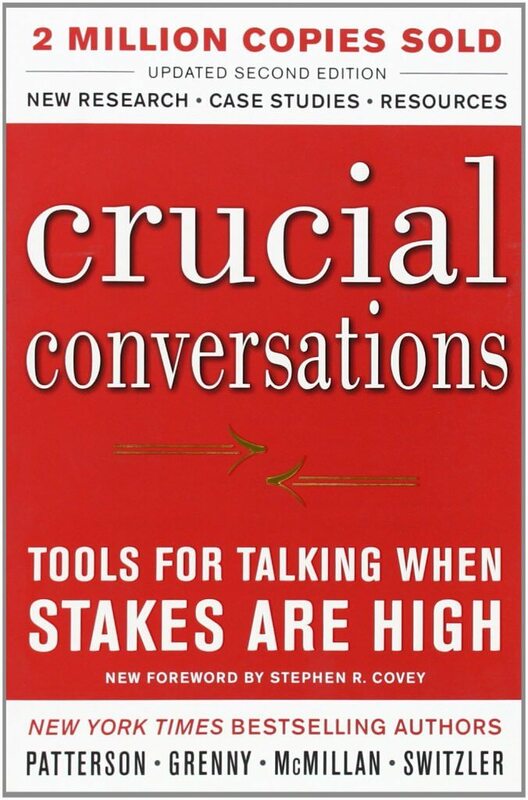 The text centers around understanding the psychology of why people say “yes” and how to apply these understandings. Six principles on how to become a skilled persuader, or how to defend yourself against a skilled persuader are offered throughout the text. 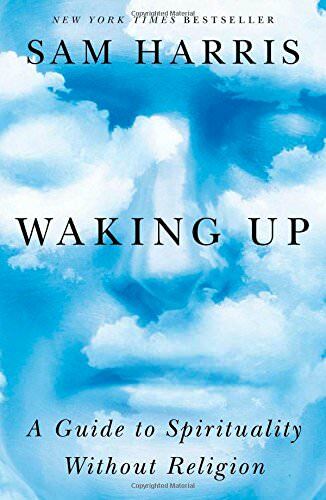 Waking Up is currently ranked #3 in sociology, #4 in religious studies, and #5 in history & philosophy books on Amazon. The book is written by Sam Harris, multi-book author, winner of the Pen Award for nonfiction, and co founder and CEO of Project Reason, a nonprofit devoted to spreading scientific knowledge and secular values. The book targets the millions of Americans who want spirituality without religion, and seeks to explain meditation through neuroscience and psychology. Part memoir, part scientific exploration, the book looks at the current scientific thought on spirituality. The War of Art is currently ranked #3 in creativity & genius, #5 in creativity, and #19 in personal transformation books on Amazon. The book is written by Steven Pressfield, a fiction writer, who here is presenting his first major foray into non-fiction. The Amazon review calls it “nothing less than Sun-Tzu for the soul” and it centers on succeeding at your ambitions, whatever they may be in the creative sphere (and beyond). 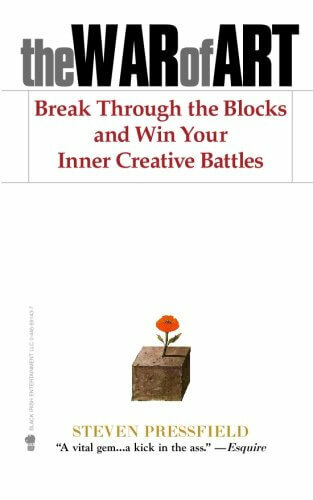 The book posits internal blocks that are often some of the largest obstacles between us and our goals, and how Pressfield’s experience in writing has taught him to overcome such personal blocks. Make Up is currently ranked #2 in beauty, grooming, & style, #5 in self-esteem, and #21 for personal transformation books on Amazon. 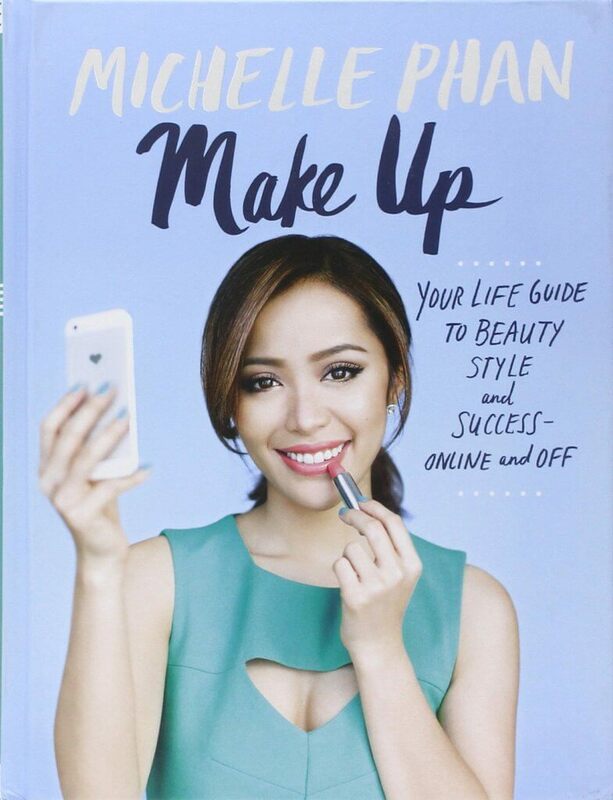 Michelle Phan is the book’s author, and also works as an award winning content creator, YouTube voice on fashion & beauty, and the founder and executive producer of the For All Women Network, a women’s lifestyle network. The book builds on her success teaching others on YouTube that makeup can be a powerful tool of transformation and self expression. The book’s advice often bleeds over from tips on making over your physical looks to remaking your life as a whole, including advice on career, etiquette, entrepreneurship, and creativity. A New Earth is currently ranked #4 for occult, and #5 for meditation and spiritual books on Amazon. 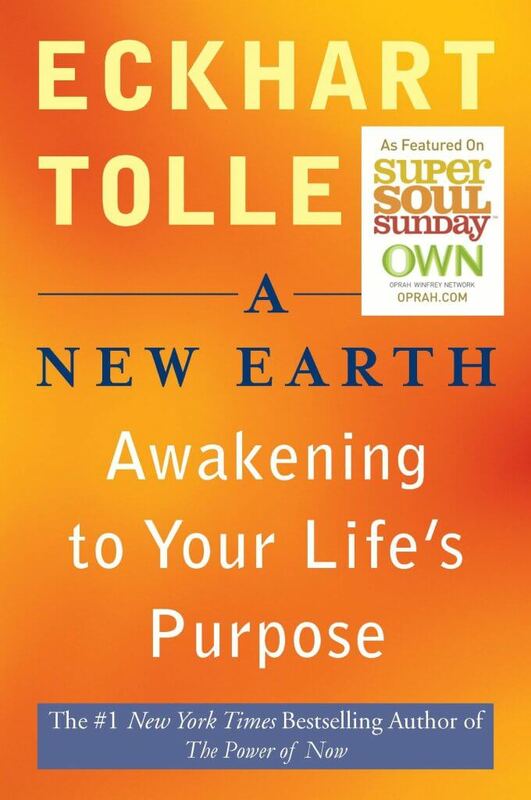 It’s Eckhart Tolle’s second book on our list, and builds off his first book The Power of Now in expanding the ideas that transcending ego-based states of consciousness helps with both personal happiness, and minimizing suffering worldwide. Where Eckhart Tolle’s first text was a handbook, this text is a traditional narrative, with anecdotes and philosophical snippets that build to a statement on how to live a better life, and thus make the world a better place. You Can, You Will is currently ranked #3 for Christian personal growth books on Amazon. 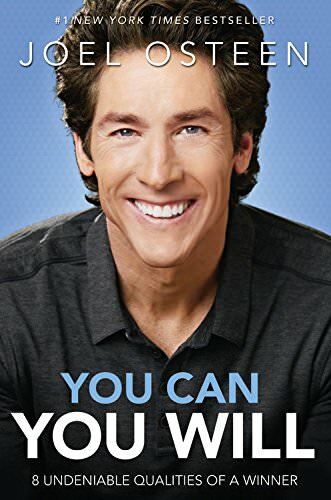 Joel Olsteen wrote the book, which takes a well-thought out Christian worldview and applies it to answering the question of “what makes a winner.” The eight principles that the book progresses through include daring to dream big dreams, focusing on your unique course and goals, anticipating great opportunities, staying positive, maintaining high standards, proactively seeking growth, serving others, and staying passionate.